Do You Know the Secret to Being an Ace Interviewer? Introverts Do! I met author and journalism professor Dean Nelson last year at a writing workshop. I was so pleased to hear that he has incorporated many practical lessons about interviewing into his new book, Talk to Me: How to Ask Better Questions, Get Better Answers, and Interview Anyone Like a Pro. We both agreed that preparation is the absolute key to ANY successful interview. So whether you have a project or a podcast, check out Dean’s tips in the guest blog post below. There is a myth out there that the only people who can get sources to talk to them are the hard-charging extroverts, the people who exude confidence through their pores, who have no trouble walking up to strangers and getting them to say things they wouldn’t say even after the fourth waterboarding treatment. There are some people who see no stranger danger, but most of us are a little more reluctant. Most of us know full well that it takes a willful suspension of discomfort to interview a stranger. Early in the movie he gets an assignment from the Creem, the rock magazine, to interview the band Black Sabbath. But that interview doesn’t work out. It seems he wasn’t assertive enough. As he trudges away from the arena where they blew him off, another band passes him. He follows them to the stage door and tries to engage them. “Hi, I’m a journalist. I write for Creem magazine,” he says. This band is equally dismissive. He seems discouraged, but tries one more thing. William gestures with a fist, says, “Way to go,” and starts to walk away. “Well don’t stop there,” one of the musicians yells. Then the backstage door opens and they pull him in with them. Preparation will triumph over personality every time. Why do you want to talk to this person? You’d be surprised how often people don’t think about this ahead of time. What do you hope will be the outcome of this conversation? What can I ask this person that hasn’t already been asked many times? In other words, what will make your conversation unique? How can you make this conversation appeal to the source’s self interest? Before the interview, educate yourself on the topic. In the age of Google, there is no excuse to not already know a lot of the answers you’re looking for. What you want from the interview is the human voice, the insight, the complexity. Put your questions in order. Know where the interview is going. Ask the difficult question, even if it’s awkward. Believe me, they’re expecting it. Doing these things won’t make you someone you’re not. They’ll make you comfortable with who you are, so that you can be authentically you. If you’re authentic and prepared, you’ll be amazed at the access people will give you. They might even call you incendiary! Dean Nelson, Ph.D., is the founder and director of the journalism program at Point Loma Nazarene University in San Diego, and the host of the annual Writer’s Symposium By The Sea. 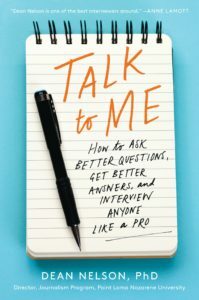 His new book, published by HarperCollins, is “Talk To Me: How To Ask Better Questions, Get Better Answers, and Interview Anyone Like a Pro.” This essay is adapted from that book. This entry was posted in Uncategorized and tagged Dean Nelson, introvert, introverted leaders, Introverts, jennifer kahnweiler on March 31, 2019 by Jennifer Kahnweiler. In the research I am doing for my book on introvert-friendly work cultures, open spaces are not getting high marks from introverts. Although they find ways to adapt, they push against the prevailing idea that open offices are the ideal. There don’t seem to be many attempts to ask introverted employees about how to make these spaces work for them and their challenges fall into three key categories: communication, lack of privacy, and distractions. Aside from a lower cost per foot, one stated goal of open offices is to inspire communication and collective creativity, like bees in a hive, as one author wrote. Unfortunately, the research does not always support this claim. In fact, a widely quoted research study from researchers at Harvard found that open-office layouts actually cut face-to-face conversations by 70% and that email and texting replaced these conversations. People withdrew from office mates. They also noticed losses in productivity after open office designs were implemented. The caveat is that the sample size was small. 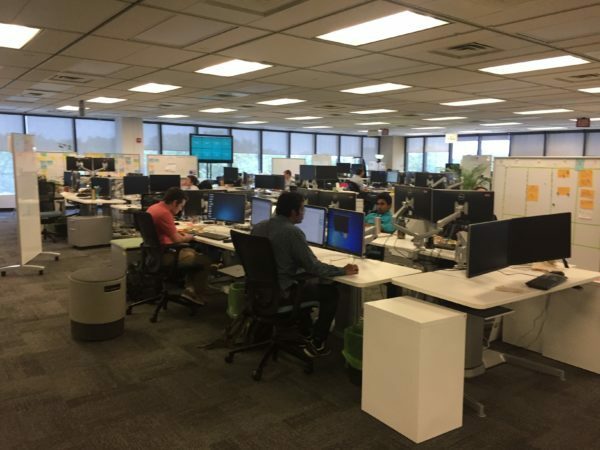 One company told me that to combat this and encourage communication, they decided to place people in their large HR department next to each other using their last names in alphabetical order as opposed to by function or team. This backfired and the employees found that not being seated near their intact team was very inefficient and frustrating. Introverts value privacy. They don’t necessarily want to make small talk with extroverted office mates who stop by. 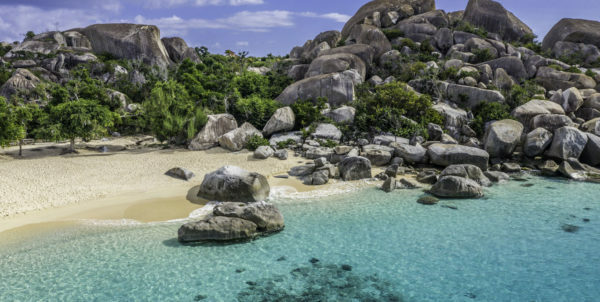 Private space is also necessary for thinking. One survey by William Belk found that 58% of employees reported needing more private space for problem-solving. Time and time again, the introverts who responded to our survey emphasized how important a quiet environment is to their ability to function. “Cube walls don’t cut it. We still hear all your extrovert conversations and lose track of what we are doing. Introverts do not like over-stimulation from the external environment. In a busy open space organization, the physical proximity of people, noise, and light can take them off their game. Conversely, noise and light management can be an effective solution to allowing introverts that quiet they need. For example, one survey respondent found their own way of signaling with light their need for quiet time at their workplace. In an advice column to introverts seeking jobs, the employer review website GlassDoor.com recommended they only look at workplaces where they’d have a door. Their rationale was that introverts will perform better in solitude. While this is true, building predominantly private offices is not a viable option for most companies in today’s changing workspace. And for companies, redoing their office spaces is not feasible. So, what options should introverted employees ask about when sizing up a potential workplace? And more importantly, what are some viable solutions for companies to ensure their current and future introverted employees are set up for success? When attracting talent and planning ideal office spaces, leaders should look around their company, consider the other factors that play into effective workplace design, and ask introverts what they need to be productive. That would be a good start. We are still collecting data on best practices so please complete this short survey to tell us your thoughts about introvert-friendly workplaces. Thanks! This entry was posted in Uncategorized and tagged introvert, Introverts, jennifer kahnweiler, open work space, open workspace on March 17, 2019 by Jennifer Kahnweiler. What Ever Happened to Random, Spontaneous Conversations? Yes, the world is certainly opened up to us as we connect to our friends, scan news feeds, and listen to music all while reading a novel! Learning has never been so immediately accessible. Yet, I have to ask what we miss by skipping over spontaneous conversations with strangers? I believe it is the chance to learn from others and about ourselves. In the Genius of Opposites, I shared a story related to this topic. After hearing my speech at the American Library Association on how much we can learn from having spontaneous, focused conversations, an introverted librarian named Beth wrote me. She said, “Vegas was a hard town to be in as an introvert. That night, as I hailed a cab, I was overly tired and just wanted to get to the hotel and away from the crush of people. The cabbie started talking with me, something I generally avoid, but I thought about practicing “engaged listening” and decided I would try it. It turns out, we had an amazing conversation about the Nag Hammadi codices and the educational system in Nevada.” Beth went on to say that she was grateful she took the time to listen and learn from this extroverted driver. Being open to listening and having conversations with strangers can expand your world. This entry was posted in Uncategorized and tagged conversations, face-to-face conversations, phone, spontaneous conversation, talking on March 3, 2019 by Jennifer Kahnweiler. What Can Project Managers Learn from Introverted Leaders? practices project management principles in everything they do! I have always admired project managers (PM’s). Their organization and ability to pull together disparate projects on deadline and under budget is impressive. Often promoted from their technical homes in Engineering, Science, and Technology, they get work done! Influencing people without having formal authority also means that project managers need to refine and sharpen their skills in communication, persuasion, and negotiation. 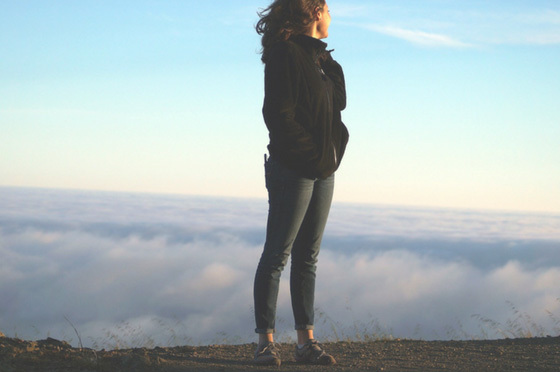 I have found that successful Introverted leaders have learned to use their natural strengths like listening and preparation to accomplish these tasks. They have many lessons to offer PM’s who must navigate their roles up, down, and across the organization. 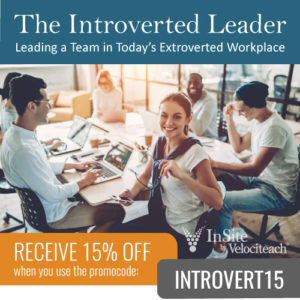 Working with a vibrant project management training company called Velociteach, I developed a course based on the lessons learned from these introverted leaders across a wide variety of industries and organizations. In preparation, I stopped into the Manage This podcast studio and was interviewed by Bill Yates and Andy Crowe, the executives at Velociteach. As seasoned PM’s, they opened up about the challenges and benefits of leveraging their introverted and extroverted sides. As an extrovert and introvert “Genius Opposite” pair, you will hear how they balance each other out. We also had some good laughs in our time together. The whole staff threw themselves into the development of my new course and worked the material themselves. We had a number of stimulating conversations about how their own personality preferences served them. Jordan Demers, Media Arts Designer and one of the course developers shared her learning about embracing her own “pause” as an introvert in one of those exchanges. Together, we created a compact course with hard-hitting lessons and numerous practical tools. 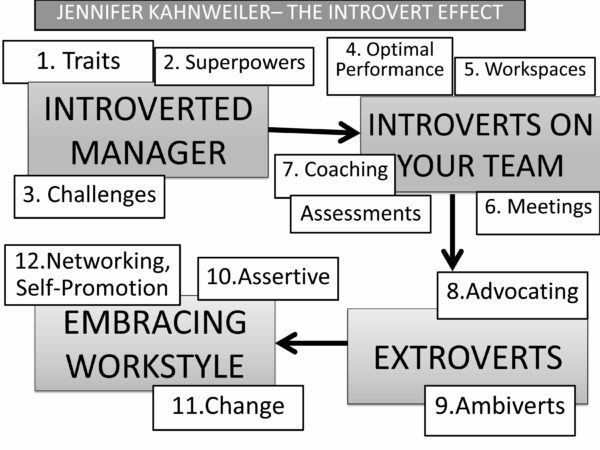 It is called The Introverted Leader: Leading a Team In Today’s Extroverted Workplace, and it is getting strong reviews. The good news is you will receive 4.5 PDU’s after listening and watching. There are also lots of handouts and many tools! I believe this online program is engaging and informative. And as a member of my community, I am pleased to offer you 15% off the regular price. Just use the promo code INTROVERT15 and you are ready to go! Whether you manage projects as your full-time job or just as part of your work, I hope this course helps you gain more control over your work. I would love to hear your feedback. Thanks! This entry was posted in Uncategorized and tagged communication, extrovert, introvert, introverted leader, jennifer kahnweiler, project management, project managers, Velociteach on February 17, 2019 by Jennifer Kahnweiler. When I started keeping journals, I remember searching for just the right pen and perfect notebook. It wasn’t long before I realized this pursuit actually kept me from writing my first entry! So I took one of the many notebooks I had lying around, grabbed a handy ballpoint pen, and dove in. I am so grateful I did. Over 20 years and countless notebooks later, the positive calming effects of the practice have spilled over into the rest of my life. Sometimes I write in lovely leather-bound journals, but other times a handy cocktail napkin suffices. I try to remember not to make the writing process supersede the act itself. I was aware of this writing process question as a young girl. 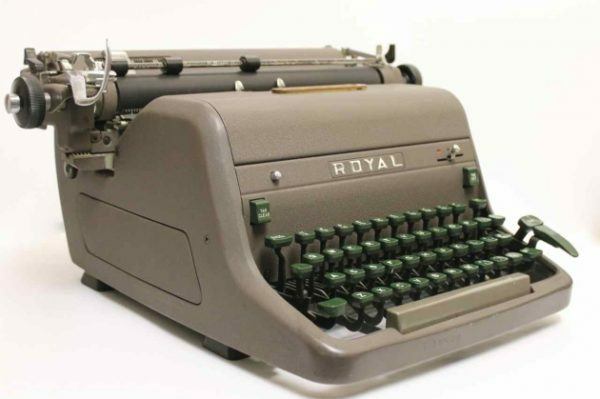 My Dad, Alvin Boretz was a screenwriter, and I vividly remember going to sleep to the sound of clacking typewriter keys from the converted closet of my parent’s bedroom. He reserved his days for research trips to the library, diving into his latest passion (Irish playwrights, navigation by the stars, travel, etc. ), riding his bike around the streets of our Long Island home and being there for my sister and me with made-to-order milkshakes. Fortunately, Dad was a fast writer and wrote well with deadlines. Stories, dialogues, and characters lived in is his head, but he sometimes needed gentle nudges to transfer them to the page. When a script was due, his “coach in residence” (my mom, Lucille) knew he could become easily distracted. When mom heard Dad talking on the phone, kidding around with my sister and me, or napping a little too long, she would call upstairs with an emphatic “Get to work, Alvin!” That verbal cue was usually all he needed. Dad always sent his scripts in on time. I have been a productive writer. I have written 4 books in 8 years, with another one on the way. Still, it doesn’t get any easier. So, I continue to seek out different writing routines. Would it be better to force me to write with a timer? Should I take a cabin in the woods? Is listening to Mozart or Mendelson more conducive to eliciting that elusive phrase? I don’t want the process to become the end itself. That only keeps me from writing. It is about the blank screen and diving in. So I think I will use a version of mom’s mantra (along with my phone’s timer) to continue working on that next book. “Get to work, Jennifer!” serves me for right now. This entry was posted in Uncategorized and tagged writer, writing on January 22, 2019 by Jennifer Kahnweiler.